The ‘m’ variant of the long-running IconAudio Stereo 40 series has a small front panel meter so that the user can easily check and adjust the bias applied to its four KT88 output valve. This can also be used to show the output level averaging the two voltages at the 8ohm speaker terminals which is arguably less useful. Since the switchable negative feedback is also taken from this point, these are the outputs used for my listening tests, with the sensitivity set to low. The Stereo 40 is very well specified with three line-inputs plus a proper tape loop, a remote volume control, a low power ‘standby’ mode and a switch for triode or ultra-linear configuration of the KT88s. I used the latter which offers roughly double the output power with little change to the sound quality. An interesting technical point is that the 6SL7 input stage and the two 6SN7 drivers are powered by a big 274B rectifier in the center. 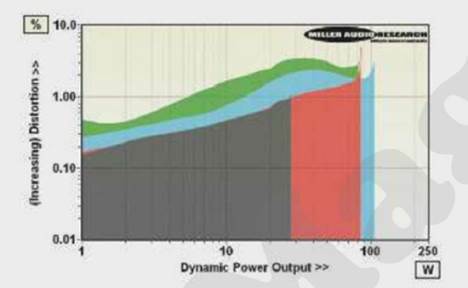 In common with most modern amplifiers the output stages still have their needs met by conventional silicon diodes, however. In common with the Ming Da MC368-BSE, point-to-point wiring is used throughout. In my setup, the response yielded by the Stereo 40 seemed to be a bit ‘up and down’ with the Level 42 track, bass was heavy and vocals vivid but the lower midrange sounded slightly ‘sucked out’, as did the extreme treble. In practice, this turns out to be a fair balance for much rock and pop music where the Stereo 40 comes across as a strong and lively performer able to make good use of the available power. Its mains transformer does get rather hot after a few hours of use, however. Stereo imaging and sound staging was similar to that offered by the Pathos, centered about each speaker. A presence lift raised Katie Melua well clear of her backing group even if her voice wasn’t quite as silky sounding as with the Mystère. But if you prefer your music with a crisper edge then this may well be more to your taste. And even if Mahler’s strings could not match the drama of Melua’s vocals – they could seem slightly lost – the sound was always smooth and detailed. Evidently, while Icon Audio was retrofitting its ST40 mkIII amplifier with an integral bias meter, numerous other ‘tweaks’ were implemented. 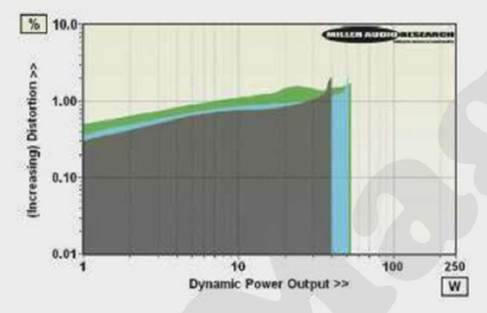 This new version is actually very slightly less powerful than its forebear, its power output almost precisely matching its 40W specification into 8 and 4ohm loads under both continuous and dynamic conditions up to 2% THD (the ST40 mkIII offered a little closer to 45W). 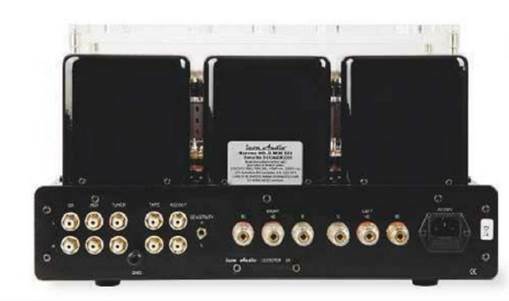 More importantly, the amplifier’s response has been ‘flattened’, up from -2dB/20kHz to -1.1dB/20kHz into 8ohm, and hugely extended into the sub-bass from -1.7dB/5Hz to +0.25dB/5Hz here. Its performance into variable loudspeaker loads also benefits from a reduced output impedance of just 0.75ohm – a worthwhile drop from the ST40 mkIII’s 3ohm. Another indication that the ST40 mkIIIm’s feedback has been tweaked is suggested by the reduced 0.35-0.75% distortion (20Hz-20kHz, 10W) and the substantially improved 94.4dB A-wtd S/N ratio (re. 0dBW). Stereo separation is also boosted by a good 20dB over the older model. 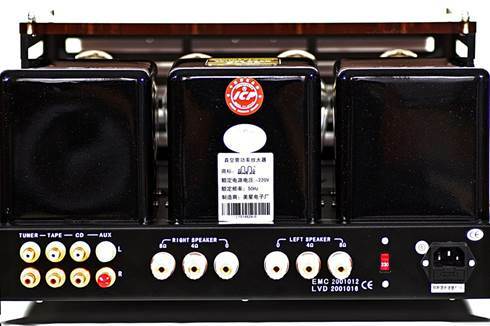 Ming Da is one of the most famous Chinese hi-fi brands and its range of valve amplifiers now includes a wide choice of models. The MC368-BSE seen here uses KT90 output valves, a recently developed beam Tetrode which, in this application, gives a claimed 70W/channel when used in ultra-linear mode (a lower power triode mode is also available). The circuit uses fixed bias but as this is only adjustable using unlabeled internal controls the task is best left to a dealer; the two meters just show the output voltage at the 8ohm loudspeaker sockets. This is also the feedback reference point so I chose to connect the loudspeakers here for my tests. Four line-inputs are provided and the volume control is motorized for remote operation via a simple handset. 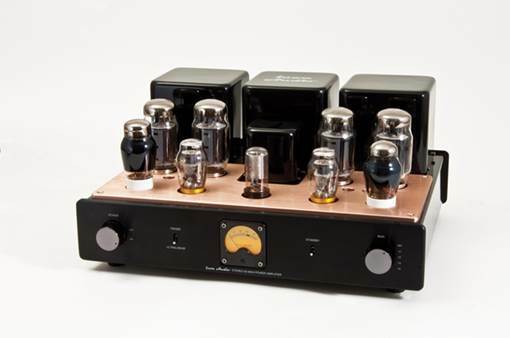 The amplifier, which is nicely finished in satin black, has been assembled using neat point to point wiring, the bulbous 6SN7 driver valves are famously microponic, so the amplifier should be placed on a stable surface well away from the loudspeakers. Tube rollers may well consider trying out different 6S7s in pretty short order, as the rest of the design clearly warrants the improvement. It comes as no surprise that the MC368-BSE has a big, confident sound. The level 42 track was driven along with plenty of gusto and even though the high volume levels that could be achieved were similar to those available from the Icon, the bass seemed to stay tighter for a greater part of the available range. Comparisons with the Icon Audio Stereo 40 were interesting: the two units share the common trait of a clean, slightly dry mid band and a noticeable bass lift, but the costlier Ming Da sounded more even in its overall tonality. Despite being (in valve terms at least) a ‘muscle amp’, the MC368-BSE rendered Katie Melua’s voice as rich and seductive, set against a colorful landscape of backing instruments. Vocal clarity was excellent, helped in no small part by an absence of grain or harshness in the upper registers. The Mahler showed a similar spatial character to the Icon and the Pathos amps, although the central part of the image was notably stronger and easier to tune-in to.